Wayne’s Coffee is continuing its expansion in Europe. 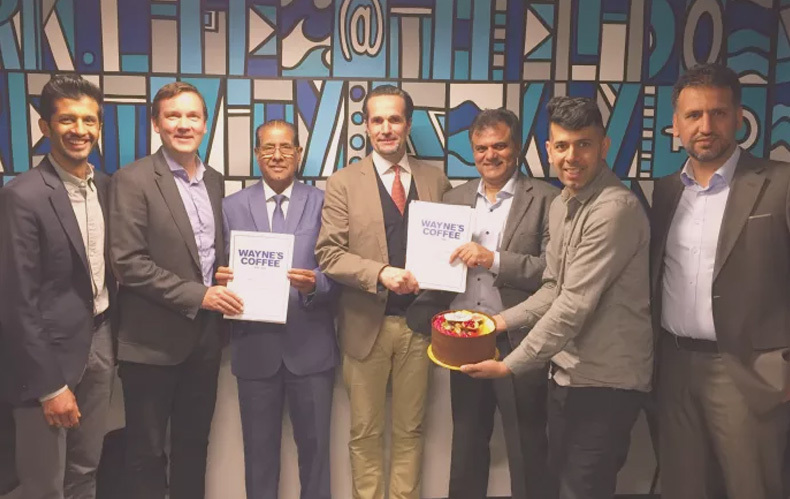 The popular Swedish chain of coffee shops opened its first shop outside Sweden already in 2010, and it will soon be possible to spot Wayne’s familiar blue sign also in the UK. This means that Wayne’s Coffee now has a presence in a total of seven countries in Europe and the Middle East. According to Mats Hörnell, the company’s success is attributable to Wayne’s Coffee’s strong franchise concept, according to which local partners operate the new coffee shops and manages the brand. “Our new master franchisee is a highly professional partner that will implement our unique concept and use every endeavour to create a strong local presence throughout the market,” says Mats Hörnell. The popular chain of coffee shops from Sweden already has a footprint in six countries. In addition to the home country, you can visit Wayne’s Coffee in Norway, Finland, Cyprus, Jordan and Saudi Arabia. And now, a seventh country has been added to the list. Wayne’s Coffee’s local partner in the UK is a group of investors led by the Karim and Akhtar families. In cooperation with excellent franchisees, they will expand the Wayne’s concept in the UK market. Both families are already active on several locations in Europe and the Middle East, including in the restaurant and property development sectors. The families are represented by the company Four Stars Coffee Limited. “Our focus will be to offer exceptional coffee and a wide range of healthy foods in an environment where our guests feel welcome and able to relax in the company of family and friends. And that’s exactly what Wayne’s Coffee stands for,” Adnan Karim concludes.